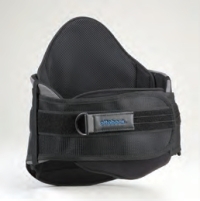 Orthomerica® Products introduces the new California® Ventura™ Spinal Brace that is easy to fit, yet simple for the patient to don and doff. The Ventura provides controlled levels of stability by featuring easily removable, rigid plastic components—making it ideal throughout rehabilitation. 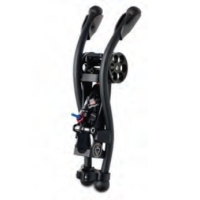 When spinal control of extension and flexion is desired, the Ventura is the perfect fit. 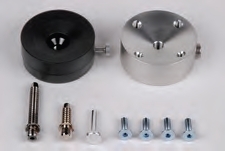 Available in four different PDAC-approved options, as well as the ability to purchase additional components. The WillowWood Alpha® Silicone Liner uses a proprietary, platinum-cured, medical-grade silicone that is designed for comfort and performance. 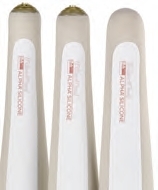 The unique blend of silicone, Vitamin E, and skin conditioners results in a non-greasy, non-tacky surface that is comfortable against the patient's skin. Alpha Select fabric controls pistoning and allows for circumferential stretch without using a distal matrix. 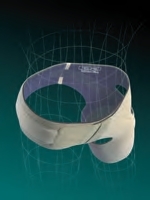 The flexible knee panel offers increased knee flexion as well as a broad range of motion. mm proximally (progressive) thickness; four sizes; and locking or cushion styles. 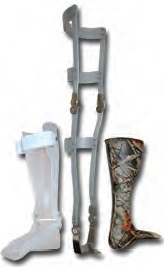 The prosthetics industry has seen tremendous growth and development in engineering techniques and functioning of prosthetic and orthotic devices over the past two decades. Grace Prosthetic Fabrication has stayed on top of all technological developments, employing the latest CAD-CAM software and fabrication techniques to deliver orthotic and prosthetic devices that meet your patient's needs and expectations. For your convenience, we have printable order forms available on our website that can be faxed to 727.842.2264. 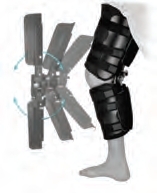 The PENTAGON® Five-Function Knee Orthosis from Anatomical Concepts is delivered ready to fit. Calf and thigh segments to dynamically shorten and lengthen with the patient's extremity, eliminating tissue shearing while maintaining joint alignment. Addresses up to five different knee orthosis functions: free motion, variable ROM, fixed motion lock, drop lock, and ratchet lock. 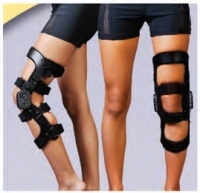 Patient-friendly alternative to traditional, bulky, double-upright hinged-knee configuration; no concerns of bony prominence or contralateral pressure. Accommodate, NEVER correct! People with Charcot foot, edema, hammer toes, bunions, and RA foot pain cannot tolerate much correction or pressure caused by footwear. Proper fitting of footwear is essential and we have the shoes for any of the aforementioned situations. 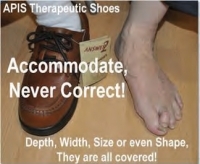 Whether for depths, widths, sizes, or even for shapes, select from our variety of styles to fit that special foot of your patient. Call our friendly customer service department for more information or free samples. WillowWood and its distributors are strong partners in serving the O&P industry. We understand the changing business needs of patient care facilities. With that understanding, we've adjusted our liner warranty and replacement policy. 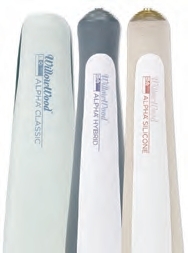 Patients will now have a 30-day trial period for all Alpha® Liners...including Alpha DESIGN® Liners! Plus, liners no longer need to be registered online, saving you and your staff valuable time. Liner warranty and replacement issues will now be handled by the distributor from which the liners were purchased. Alpha DESIGN Liners must still be returned to WillowWood directly. Say goodbye to old-fashioned sockets and welcome the next generation in prosthetic-limb connectivity—the patent-pending HiFi™ Interface. Unlike traditional sockets that simply fit the periphery of the residual limb, the HiFi Interface captures and controls the residual bone. The patent-pending HiFi Imager, with its skeletal-capture technology, is a device used for transfemoral patients during the casting/ scanning phase. Now one to five missing fingers can be replaced with the individually powered i-limb™ digits available at SPS. Independent articulation and joint mobility work in concert with the remaining fingers to help increase functional capabilities. Ideal candidates have amputation levels through or just proximal to the metacarpophalangeal level of one or more digits. Multi-articulating digits and user-positionable thumb. i-limb skin, battery, charger, and electrodes. Two electrodes and four FSRs (force-sensing resistors). Software; programmable pulsing; three-year warranty. Contact SPS technical service to request a product demonstration, or Jim Williams for fabrication and ordering information. 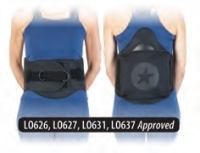 CoreLINE's newest addition is a trimmable Rigid Lumbar Orthosis designed to protect injured ligaments and muscles while providing pain relief and post-surgical immobilization. The sculpted belt may be customized by trimming the posterior aspect near the back-panel attachment. 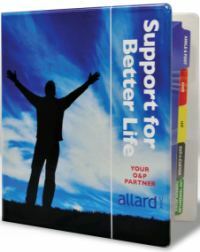 Support panels hug the contours of the back for comfort, stabilization, and increased compliance. Breathable fabric and ventilated support panels keep the wearer cool for extended periods. Even pressure is applied to paraspinal musculature while providing relief over spinous processes. Contact your SPS sales manager or SPS customer service for sizing and cost information.